This show played its final performance on Sunday - August 30. After Anthony's father passes away, old family members are reunited after being on not the best of terms for over a decade. 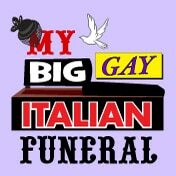 A hilarious take on all of the fun characters that show up at a funeral home, most of which are taken straight from the wedding.